There are currently 11 members in the EEA, all of which are listed below. Member organisations support the EEA through promoting research, informing national governments and the European Commission, and raising public awareness on sharks, skates, rays and chimaeras. Please support the EEA by joining one or more of the following organisations and help conserve these susceptible species. L’Association Pour l’Etude et la Conservation des Sélaciens (APECS) was founded in 1997 by a group of marine biology students from the University of Brest. APECS is a research and educational non-governmental organisation dedicated to the study of sharks, skates and rays to enhance the scientific knowledge for a better conservation of these species. It is collaborating with national laboratories, universities and the international scientific community as well as conservation organisations. The main research project focuses on the basking shark with a public sighting recording scheme, annual field surveys (photo ID, zooplankton sampling) and satellite tagging. Research is also conducted on the biology of skates from the French coasts. Educational programmes include facilitating conferences, exhibitions, school talks, eggcase hunts etc. to inform the public about general shark conservation issues and the work of APECS. The D.E.G. (German Elasmobranch Society) was established in 1995 by a group of scientists, journalists and interested citizens as a non-profit organisation based in Hamburg. It brings together a wide variety of individuals from diverse occupational backgrounds, including marine biologists and other scientists, students, divers and sailors, and animal and nature lovers. All have one thing in common – a fascination for elasmobranchs and the desire to contribute to their protection and research. D.E.G.’s expertise ranges from marine ecology and fisheries biology to husbandry, chondrichthyan fossils, diving and underwater photography, nature illustrations and has produced several publications on elasmobranchs. Some of its specialists are engaged in international expert panels such as the IUCN Shark Specialist Group. The Irish Elasmobranch Group (IEG) currently has approximately 25 members, most of who are associated with colleges or universities, or state marine agencies. There are three elected committee members and one co-opted committee member. The aim of the IEG is to act as a focal point for elasmobranch researchers, and also to increase awareness of sharks and rays in Ireland, mainly through talks and presentations at schools, zoos and museums. Established in 1995, the Group of the Italian Researchers on sharks, rays and chimaeras (GRIS) brings together scientists devoted to the study of cartilaginous fishes, with the aim of promoting research, and conservation of these marine vertebrates. 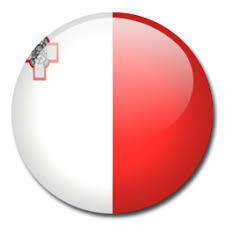 Since 1999 it has been a part of the Italian Society of Marine Biology (SIBM). Sharklab – Malta is a registered non-profit, voluntary organisation in Malta dedicated to research, education and raising greater awareness about all chondrichthyan fishes (sharks, skates, rays, and chimaeras) around Malta and within the Mediterranean Sea. 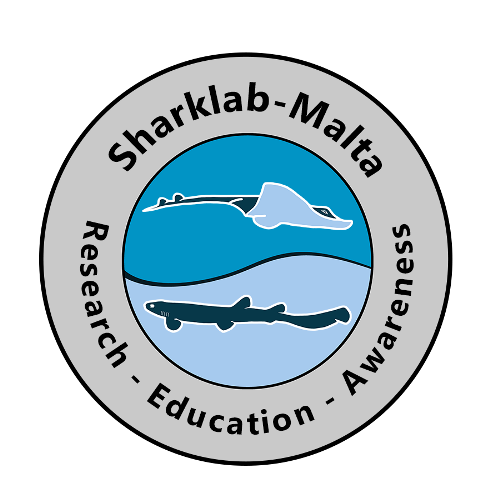 Sharklab – Malta is undertaking many different activities to try and play a part in making a difference for elasmobranchs in the Mediterrenean Sea. Our main objectives are to increase scientific knowledge, promote a better conservation and raise awareness about these magnificent animals. We are collecting catch data from the market in Marsa to gain more information on the range of species caught and brought to the islands. We are, through snorkeling and dive searches, observing species and looking more closely at the habitat around the islands, where years ago many more species used to thrive. We are educating the public through presentations, conversations and social media. – Providing advice on shark and ray research, policy and decision making. The Norwegian Shark Alliance (HAI Norge) was founded in May 2009 in Oslo. HAI Norge is a non-profit organisation to advance the research on chondrichthyan fishes, i.e. sharks, skates, rays and chimaeras, and to promote public knowledge about these animals, their habitats and their conservation needs. Membership in HAI Norge is open for everyone interested in cartilaginous fishes and not restricted to professionals in the field. HAI Norge has set up a research project on the genetic diversity in basking sharks, which is conducted in collaboration with other European research projects and organisations. The Portuguese Association for the Study and Conservation of Elasmobranchs (APECE) was founded in January 1997. It is a non-profit voluntary organisation whose goal is promoting elasmobranch research and conservation, and is a member of the EEA and Shark Alliance. The APECE is now supported by 150+ members, primarily students and academics. It issues a newsletter, delivers frequent seminars on shark conservation, provides students with career guidance, and provides accurate information on elasmobranch issues to the media in Portugal. Multiple scholarships have been awarded to students conducting research on elasmobranchs. The APECE is actively engaged on multiple global issues, such as lobbying against finning and studying large pelagic movement patterns through satellite tracking. SUBMON is a non-profit organisation that, since 2003, has developed projects focusing on different aspects of research, awareness and conservation offering a comprehensive array in the development of projects related to the conservation and management of the marine environment. SUBMON is made up of a multidisciplinary team of specialists and professionals, who apply their technical knowledge in the fields of conservation biology and medicine, and to establish sound environmental education and awareness strategies, always related to the marine environment. SUBMON has been counselling and carrying out different studies for several national and international governmental authorities, research institutes and education centres and also collaborates as external veterinary consultant in national and international programmes working on the mitigation of the effect of fisheries on protected species. Marine stewardship agreements are a key innovative methodology developed by SUBMON where different stakeholders (government, municipalities, local fishing companies, sailing and diving clubs) and end users of marine areas are involved in their conservation via long term binding commitment and contribution with conservation, monitoring and management actions. Regarding elasmobranchs, SUBMON has carried out several projects to improve fisheries management and to further environmental education and awareness. SUBMON participates in the development of Action Plans and/or Conservation Strategies for sharks and other key species or habitats. The Shark Foundation’s purpose is to contribute to the protection and preservation of sharks and their natural habitats through its own projects and through the active support of third parties. In this sense the Foundation supports scientific work domestically and abroad both financially and in an advisory function. Through such public relations activities as organising and carrying out courses, lectures, touring exhibits, as well as a show of presence in the mass media etc., a broad segment of the public gets informed of the threat to many shark species and their habitats. Finally, together with similar institutions and official authorities, the Foundation can enter into co-operations that correspond to its objectives. The Shark Trust was established in 1997 as a registered wildlife charity. It is the UK member of the European Elasmobranch Association (EEA) and collaborates with other EEA members to promote the study, management and conservation of sharks, skates and rays in British, European and international waters. Its objectives are similar to those of the EEA – the introduction of management for shark, skate and ray fisheries, reduction of bycatch in other fisheries, increased levels of biological and ecological research effort, the conservation and management of critical areas and habitats (e.g. breeding and nursery grounds), promotion of international conservation and research initiatives, and enactment of legal protection for threatened species under national legislation and international conventions (for migratory species). To achieve these goals, the Trust aims at increasing public awareness of the conservation problems faced by the elasmobranchs. It does so through its newsletter Shark Focus, published three times a year, and intends to work with commercial fishermen, recreational sea anglers, divers, yachtsmen, public aquariums, and all other interest groups and individuals interested in the conservation and management of elasmobranchs. It is active in international elasmobranch conservation through its participation in the EEA network and by advocacy to the UK government, and is beginning to support international research and conservation programmes.